This sweet potato hash recipe is sweet, savory, and a touch spicy, hitting all the right marks for a great, quick meal. It is delicious for breakfast, lunch, or dinner. Top this hash with fried eggs to add more protein and make it a single-dish meal. Per Serving: 239 calories; 14g fat; 27.7g carbohydrates; 3g protein; 0mg cholesterol; 167mg sodium. This hash has the flavors reminiscent of my favorite breakfast place in Seattle. It's simple and so delicious! I added some chopped red bell pepper in it as well for extra, extra flavor. This sweet potato hash is healthy and delicious! I love making this for breakfast. It's also really easy to make! Everyone should try it. 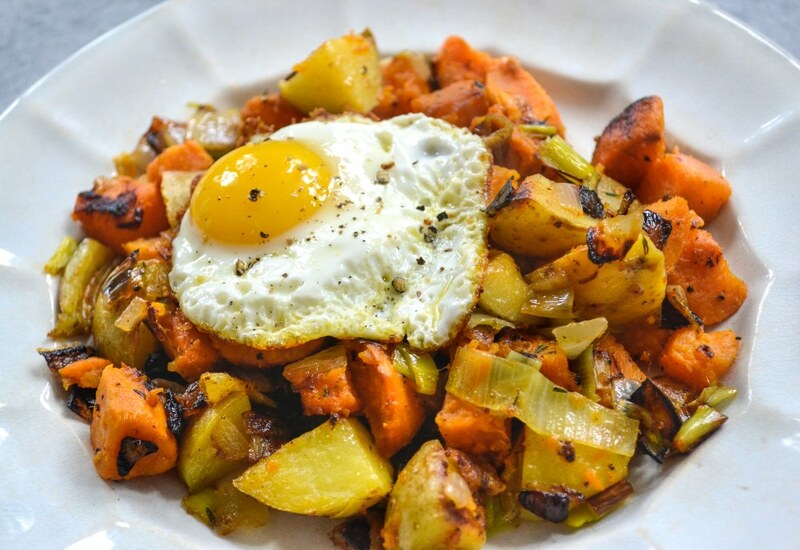 Love the spicy sweet potato hash. I did spiralized sweet potatoes instead, but other than that kept the recipe the same and it was really yummy.